One of the latest class action lawsuits filed over Oklahoma’s earthquakes is against seven energy firms in the state, blaming their wastewater disposal wells for causing large and damaging quakes. The $5 million lawsuit was originally in Payne County District court by three individuals, Matt Meier and his wife Sheryl Meier and Kai Bach. All three live in Garfield county. The Meiers live in Garber and Bach is a resident of the small town of Carrier. The three filed it June 13 but the suit was moved in late June to Oklahoma City federal court. The seven defendants are Chesapeake Operating LLC, Devon Energy Production Company, LP, Midstates Petroleum Company LLC, New Dominion, LLC, Range Production Company LLC, Special Energy Corporation and White Star Petroleum LLC. “Plaintiffs allege that Defendants have disposed of saltwater produced during oil and gas operations in such a manner as to increase the risk of earthquakes in certain areas of Oklahoma,” stated the suit. 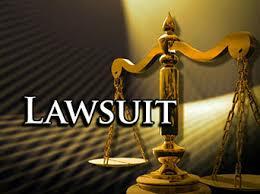 Attorneys hired to file the suit are in Enid, Oklahoma City, Dallas and Lexington, Mississippi. Some have other clients who also sued energy companies blaming them for the earthquakes. Previous class-action lawsuits have been filed in Logan and Lincoln Counties against some of the companies.